Only days ago, we discovered that the boy who came back from heaven never went there at all. The memoir that was supposedly penned by Alex Malarkey is a work of pure fiction that was heavily promoted by those who were making a load of money off the book. It was a bestseller and flew off the shelves because readers wanted to believe what little Alex told them about the afterlife, reaffirming their beliefs in what awaits us after death. Shin Dong-Hyuk wrote about his time as a prisoner in a North Korean camp. His readers believed what he said because it reaffirmed their theories on life in North Korea under a brutal regime. It is a land of human rights abuses as a way of governing, and the author provided plenty of evidence to back up that theory. Except that everything he wrote isn't exactly true. That would make his memoir a work of fiction, not unlike the Malarkey memoir or the James Frey memoir or the memoir written by the woman who said she survived the Holocaust when she wasn't anywhere near where she claimed she was in her book. ESCAPE FROM CAMP 14, as told to author Blaine Harden, is riddled with holes that the subject might have inserted in an effort to make his story all the more horrific. Were there lapses in memory that Shin Dong-Hyuk is only now recalling, or did someone do some fact-checking after the fact to puncture the human rights balloon? Certainly North Korea would have an interest in discrediting the memoir. As for the former prisoner, he's claiming that his recollections were too painful so he had to alter things a little. Is that true, or did he embellish to reinforce his argument about North Korea being a land of pure evil? The Guardian is now running an equally sensational memoir on its pages, written by an inmate of the notorious Guantanamo Prison in Cuba. Like other memoirs, it is being heavily promoted by those who believe every word written because it fits into their narrative. 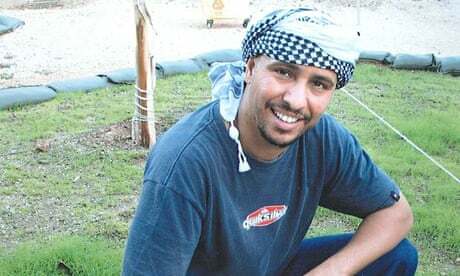 Mohamedou Ould Slahi reveals his inhuman treatment at the hands of his American captors in stirring prose that has been heavily redacted to avoid revealing classified information. His memoir is being used to lobby for his release from the prison, and strikes a chord with human rights groups who are at war with the conservative element that shouts them down with cries of "Security". Has it been fact-checked? We've been down this memoir road before, with the book getting published amid a flurry of promotion, only to have the publisher pull back when certain elements of the story don't hold up to scrutiny. You can't believe everything you read, especially when it's a memoir. They're not the most reliable narrators, the people who pen their life stories based on recollections. Sometimes they have an agenda and the whole, unvarnished truth just doesn't fit in as neatly as a writer would like.